Here’s another photo that was taken a couple of days ago when it was sunny. I happened to be outside when he came by. Most of my shots are though my window with the screen open. My window is the background in the first shot. 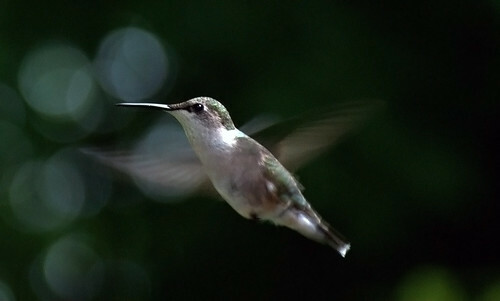 I’ve been having this hummingbird visiting the feeder a lot the last few days. Decided I would try to photograph him. I have a long way to go to get better images but I’ve got some ideas and will try to implement them as I figure them out. For one.. I need more light, today was pretty overcast so I wasn’t able to get my shutter speed up. At least I have all summer to get right!